Information and pictures received from Joaquim Janeiro and Jan Scholten. Orbis Fabbri from Italy and RBA from Spain are art / book editors that sometimes work together to sell 'collections'. 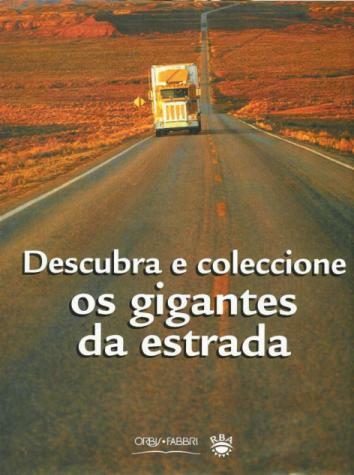 Since February 2003, they have been selling the 'Descubra e collecione os gigantes da estrada' (Know and collect the giants of the road) series of 1/87 trucks in Portugal. 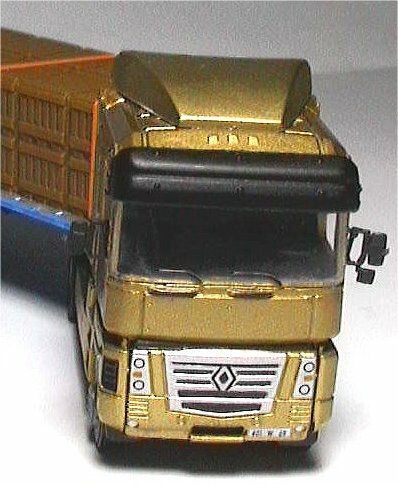 All trucks and the blisters are marked with the Italeri logo and 'Made in China'. The same models are also sold in Italy, in a series called "Camion da Collezione". In Italy, the models are released by Edicola Fabbri, a company that releases all sorts of collectibles. 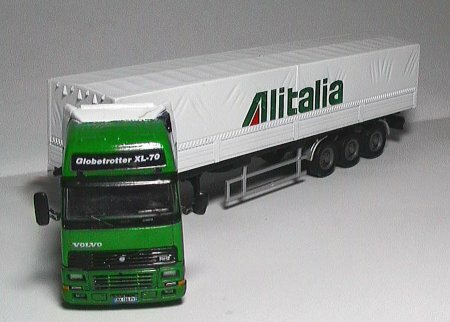 With the release of the 50th model (Iveco Stralis with 'Italeri' prints) in april 2004 the series is complete. Other versions will most likely appear at Italeri. These are the models that were released sofar, all af them can be found in the Italian collectable series, the Portuguese series has less models. The ref# are no cataloguenumbers, they just represent the sequence in which the models were released in Italy.